CC2650MODA, SimpleLink™ Wireless Microcontroller TI's CC2650MODA, SimpleLink™ wireless microcontroller is designed for applications that include building automation, medical and health, and appliances. CC3120/CC3220 SimpleLink™ Microcontrollers (MCUs) Texas Instruments' CC3120/CC3220 SimpleLink™ microcontrollers (MCUs) feature enhanced Wi-Fi provisioning and enhanced power consumption. 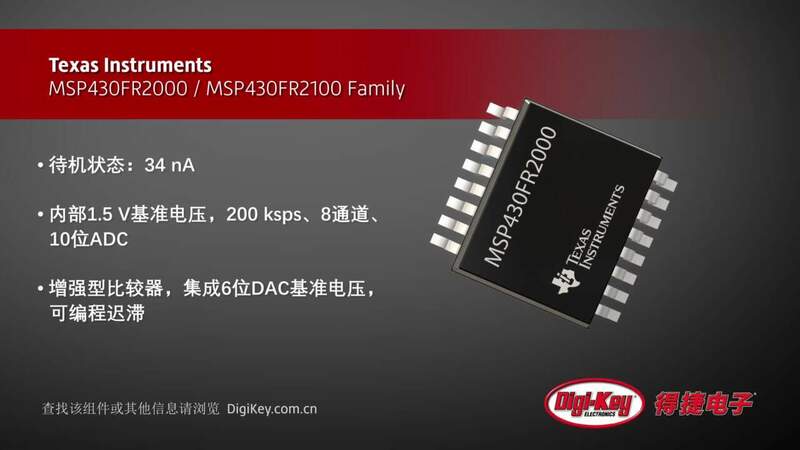 MSP430FR21xx/MSP430FR2000 Mixed-Signal Microcontrollers Texas Instruments' MSP430FR21xx and MSP430FR2000 family of ultra-low-power MCUs consists of several devices featuring different sets of peripherals.